There’s a hell of a lot riding on Avengers Endgame. As the final film in a 22 film arc, it’s obvious that the stakes have never been higher as Earth’s mightiest heroes attempt to take down Thanos and undo the devastation of his Universe-shaking snap. That doesn’t mean the team can’t have fun as they save all life as we know it, of course. This is the MCU, after all. 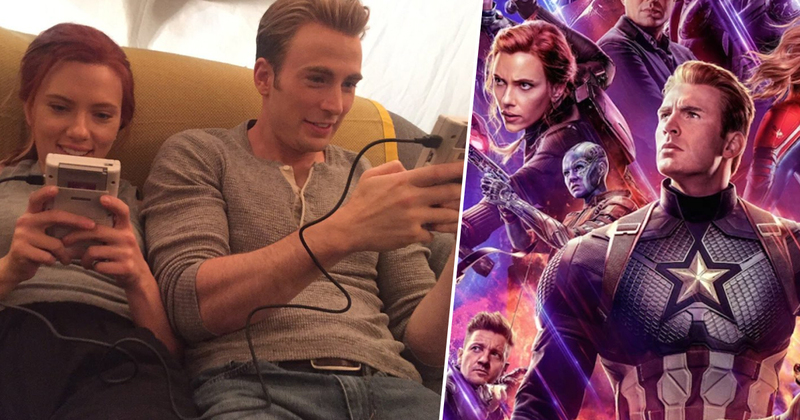 An adorable image of Captain America (Chris Evans) and Black Widow (Scarlett Johansson) has surfaced online showing them embracing their inner 90’s kids as they enjoy a spot of Game Boy action during their downtime. I mean, it’s just adorable, right? If I haven’t said it before, I genuinely love Chris Evans with all my heart. Look at his little face! If Captain America kicks the bucket in Endgame like everybody seems to think, I will riot. The photo was posted by the Incredible Hulk himself, Mr Mark Ruffalo, who decided to use Flashback Friday to give everyone a look at how heroes cope with the long days on set of the latest Avengers flick. The pair appear to be playing a good old fashioned multiplayer game of Tetris, complete with those brilliant old link cables, because we used to live in a world where wireless gaming was a science-fiction dream, as hard as that probably is for younger readers to believe. Simpler times – who needs Tetris 99? Ruffalo declined to share who the better Tetris player is, but I’d put money on it being Johansson. She’s previously revealed Mario Kart to be her favourite video game of all time, so she clearly knows her stuff. Avengers Endgame arrives in cinemas on April 25, where I can only assume Captain America and Black Widow will save the universe by challenging Thanos to a battle on Pokemon Red.